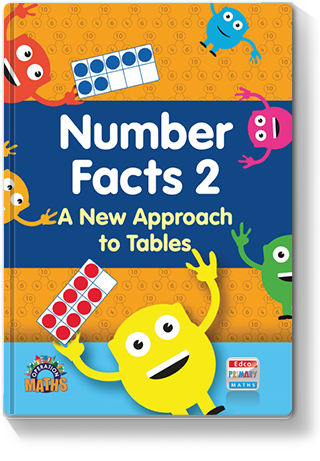 Number Facts is a series of activity books designed to foster fluency in number facts (or ‘tables’) for primary school children. This attractive and engaging series features an innovative approach to basic number facts, teaching children to understand, not just do, maths. In contrast to traditional drill-and-practice workbooks, which just test whether the answer is known, Number Facts teaches children to visualise numbers pictorially and to use these images and thinking strategies to become more adept at manipulating numbers, thus also enhancing their mental calculation and problem-solving skills. Weekly units with addition and subtraction activities for Monday to Thursday. Each unit has an underlying thinking strategy, which is provided in the footer of the first page in each unit. Think boxes reinforce the relevant thinking strategies. Most days include a Challenge section to extend the children. The Self-assessment feature allows children to assess their own learning at the end of every week. Separate Revision and Assessment sections are included for completion at regular intervals to consolidate learning. Children can record their assessment scores in their Personal Progress Chart. A selection of Family Card Games is included for parents and children to play at home to reinforce the number facts taught in each unit.